Schoonover Industries provides precise shearing for metal up to 3/16” thickness and 10 foot lengths. Each cut is made to exacting standards and unwavering consistency. 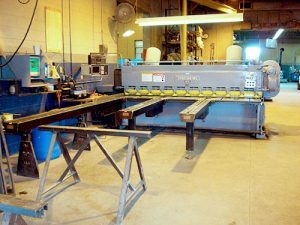 We offer metal shearing for everything from prototypes to large runs.